When soliciting home remodeling contracts on a new home construction project there is one home remodeling contract type you should avoid at all costs, the Time and Materials contract. A Time and Materials contract is a type of home construction contract that puts the homeowner at peril of getting soaked in unanticipated costs and delays. Whenever possible, demand the more common and less dangerous home remodeling contract type referred to as a Fixed Price contract. A Time and Materials contract basically is a contractor bid where you pay the contractor, and his subcontractors, by the hour and for the materials used. For many homeowners, this home remodeling contract type sounds attractive as they believe it can minimize the contractor’s time on the job and thus save them money. Unfortunately, by paying a contractor on an hourly rate you leave yourself open to excess hours charged for either slow or nonexistent work. In addition, you also leave yourself open to fluctuations in material cost increases due to market conditions and excess material purchases. Also, if unforeseen items crop up in the project you will bear all of the additional costs. By accepting a Time and Materials contract you have effectively given the contractor an open checkbook. 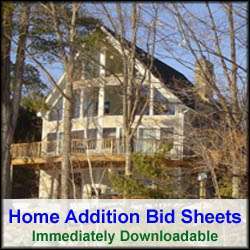 There are some cases, however, when a Time and Materials home remodeling contract may be appropriate. For example, if there are unforeseen variables or conditions in the home construction project that prevent the contractor from being able to fully and accurately cost out the project. Unforeseen variables or conditions could include such things as using new industry building materials or building methods that he is unfamiliar with. They also could include the possibility of running into ledge when attempting to construct the home’s foundation, for example. The contractor may have no other choice in these situations but to offer you a Time and Materials contract bid, or at least on a portion of the bid. To avoid Time and Material contracts the homeowner should attempt to make sure there are no issues associated with the home construction plans that prevent the contractor from using a fixed price quote. Also, the homeowner should obtain multiple contractor bids to see if other contractors suggest Time and Material contracts for their home construction project. If there is no choice but to accept a Time and Material contract make sure it is limited to the specific part of the home construction project that cannot be fully specified. In addition, require the contractor to include “not to exceed” dollar figures for both labor and material costs, and demand weekly hour and dollar itemized reports. If the contractor refuses to include these items in the contract, find another contractor. The fixed price quote is the more common home remodeling contract type, and it is what you should expect and demand from home remodeling contractors. A fixed price home remodeling contract type is written such that you know exactly how much the project is going to cost you both in labor and material. There are no loose ends in a fixed price quote, unless you accept contractor allowances, which you should not. A fixed price quote also suggests the contractor may know more about his business simply due to the fact that he is willing to sign a contract that commits him to completing your project for a set dollar amount. No matter which home remodeling contract type you go with, make sure it includes a payment schedule that incentivizes the contractor to complete the work as quickly as possible. In addition, make sure the contract includes warranties and a schedule with start and complete dates for every phase of the project. 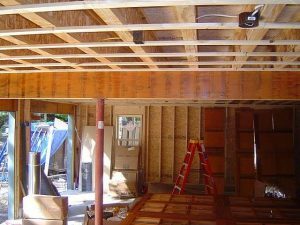 Finally, make sure there is language in the home remodeling contract that protects you from subcontractor liens and how to deal with change orders.